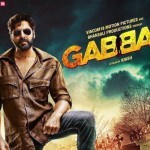 After the romantic song “Teri Meri Kahaani“; now the second song “Aao Raja” from the movie Gabbar is Back has been released on 14th April 2015. The song is featuring Chitrangada Singh in a very hot avatar. Aao Raja song is sung by Neha Kakkar & Yo Yo Honey Singh. 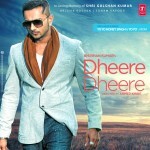 Music of the song has also been given by Honey Singh himself under the music label Zee Music Company. The song is expected to turned out as hottest song of the year, as the previous song Manali Trance from Neha Kakkar & Honey Singh. O nit dheere dheere raja..